Alyssa Gardner went down the rabbit hole and took control of her destiny. She survived the battle for Wonderland and the battle for her heart. In this collection of three novellas, join Alyssa and her family as they look back at their memories of Wonderland. In Six Impossible Things, Alyssa recalls the most precious moments of her life after Ensnared, and the role magic plays in preserving the happiness of those she loves. Alyssa’s mother reminisces about her own time in Wonderland and giving up the crown to rescue the man who would become her husband in The Boy in the Web. And Morpheus delves into Jeb’s memories of the events of Splintered in The Moth in the Mirror. 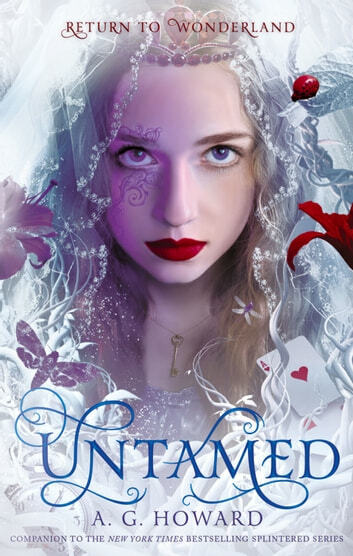 Read all the books in the New York Times bestselling Splintered series: Splintered (Book 1), Unhinged (Book 2*), Ensnared (Book 3),* and Untamed (The Companion Novel). *"*Alyssa is one of the most unique protagonists I've come across in a while. Splintered is dark, twisted, entirely riveting, and a truly romantic tale." THIS BOOK IS AMAZING YOU HAVE TO READ IT RIGHT NOW I THINK EVEN LEWIS CAROLL HIMSELF WOULD LIKE THIS SERIES!!!! I was so happy to get all the novellas in one book and to read the ending and the begging to Alyssa's journeys. These stories are pure magic wrapped in silk and lace bliss with a moth to hold it all together. To not read the splintered series is to deny yourself a magical experience.